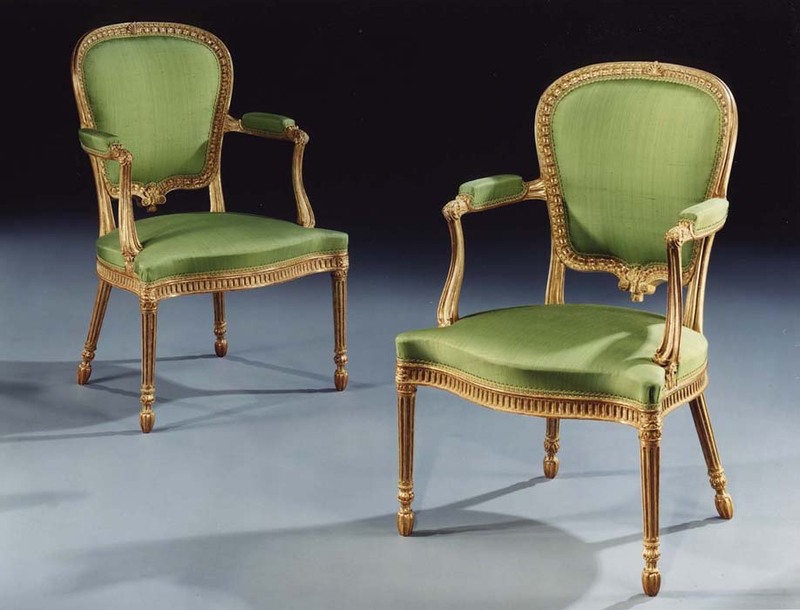 A HIGHLY IMPORTANT PAIR of English carved wood and gilded armchairs, most probably from the workshops of THOMAS CHIPPENDALE, the cartouche-shaped backs with a carved anthemion in the centre of the top rail, the rails having water-leaf carving, the lower rail centred by an important carved cartouche, the elegantly shaped arms with neo-classical carving, the shaped seats being carved, the chairs supported on carved turned and fluted legs terminating in carved feet. 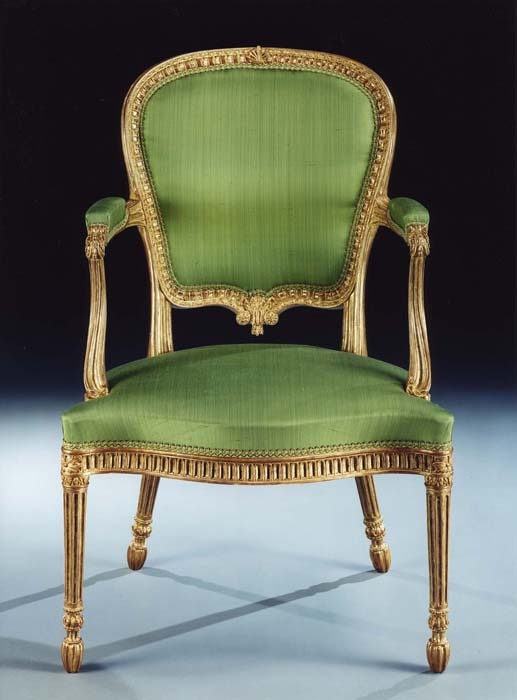 For a similar chair see: Christopher Gilbert, The Life and Works of Thomas Chippendale, p. 110, fig. 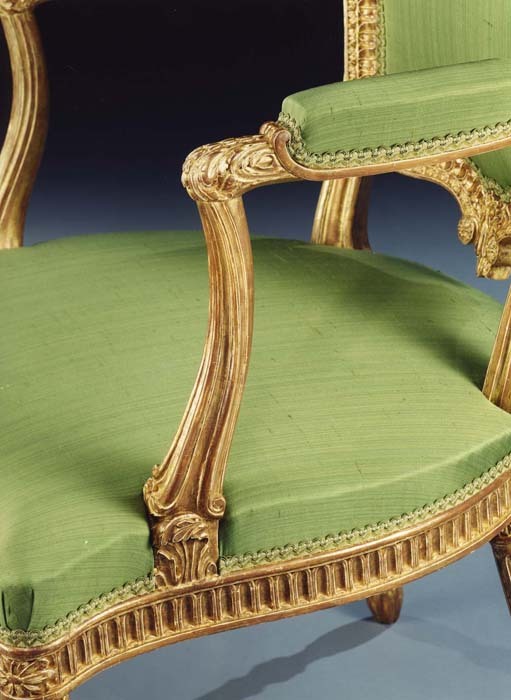 188: also p. 197, fig.359 (an armchair from a set of eighteen ordered from Thomas Chippendale by the Earl of Marley, Saltram House, Devon and a pair of settees from the same suite). Also: "Discover Britain's Historic Houses", Reader's Digest, West Country by Simon Jenkins; page 118: a photograph of the saloon at Saltram House Devon, showing the suite of Chippendale chairs. Height (of back) 38in (96.5cms). Height 17in (43cms). 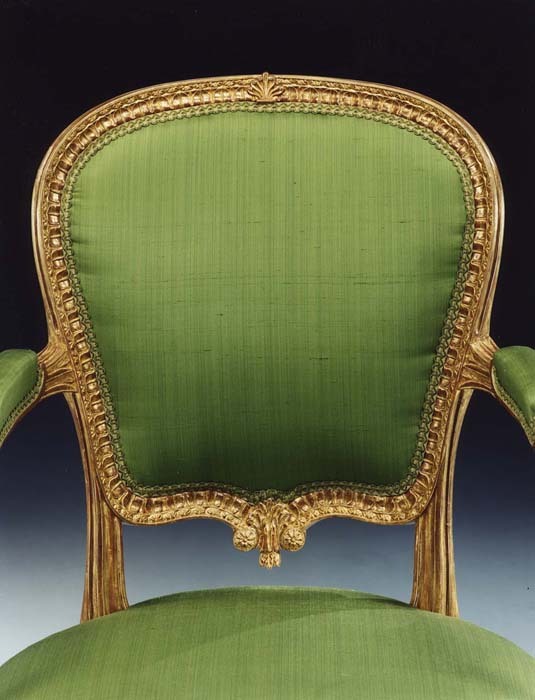 Width (of seat) 25in (64cms). Depth (of seat) 22in (56cms).